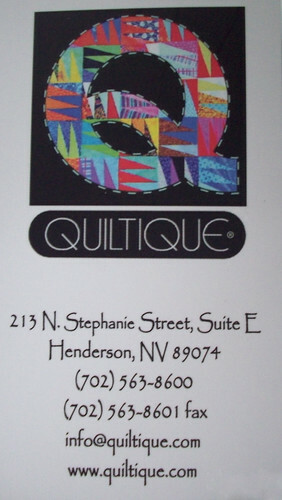 I started this blog almost a year ago after visitng Las Vegas for the first time and discovering all of the really cool quilt shops in the Las Vegas area. 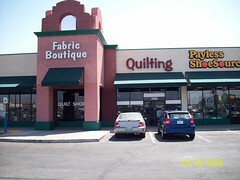 Yes, I went to Las Vegas and was more excited about visiting new-to-me quilt shops than I was excited about gambling! 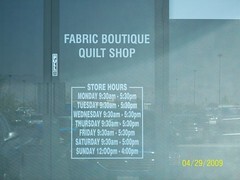 At the time most everyone found this to be odd and amusing, but it seemed natural to me to want to visit the shops since I was a new to sewing. 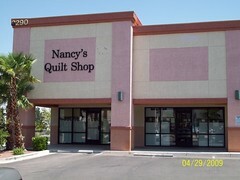 I returned for my second trip to Las Vegas last week for vacation and visited the same 5 shops again. 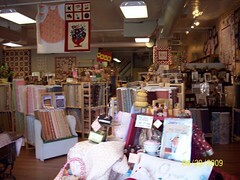 I won’t post about each shop again since I made separate posts for each one last year, but I will link to those posts at the bottom and provide a summary of my recent trip in this single post. 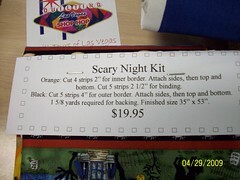 It can really all be summed up with a single picture of all of the goodies I purchased while in Las Vegas. 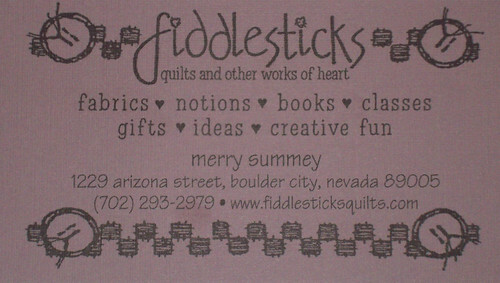 I wish I had taken a picture like this last year, too! 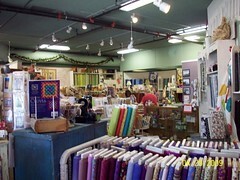 As you can see, I mostly bought small quantities of lots of different fabrics. 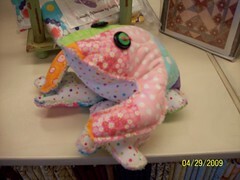 I bought supplies to make a few more tote bags like the one in the previous post, Funk Frogs Tote Bag. 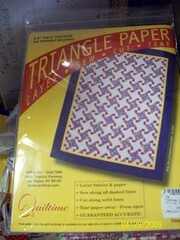 I also picked up two patterns. 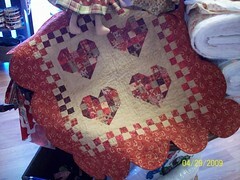 The first is the Wonder Wallet pattern from a designer whose blog I have been following, Lazy Girl Designs. 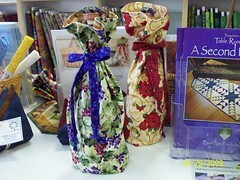 The second is a pattern to make several small bags called Snap Happy, created by Three Sisters Fabric. 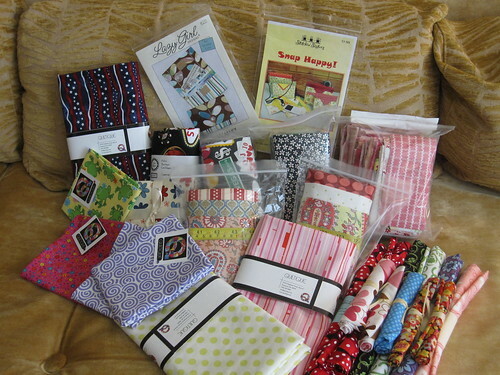 The awesome thing about the Snap Happy pattern is that the Christmas Goose Quilt Shop had several kits already made up of the supplies needed to make a Snap Happy bag, so I bought a kit to make myself and my mom a bag. 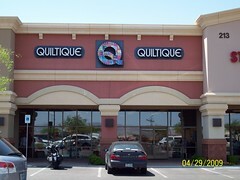 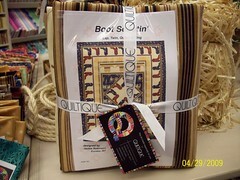 Quiltique – The ambiance of this store is my favorite among the shops. 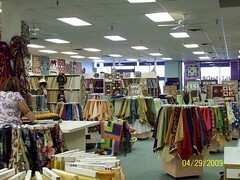 It’s very open, they have the fabric organized well into different styles and colors. 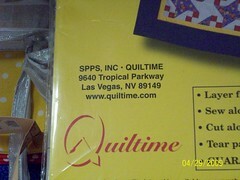 I love that they have fat quarters available for almost all of the fabrics that they sell. 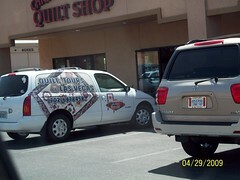 Their best deals are with the Chunky Hunks, where they package up the last 3 yards of a bolt and sell it at a discounted price. 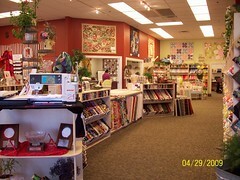 At this shop I purchased fabric to make another tote bag, mostly with discounted chunky hunks and fat quarters. 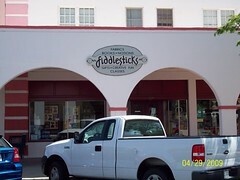 Fiddlesticks – This is a small shop packed with lots of character. 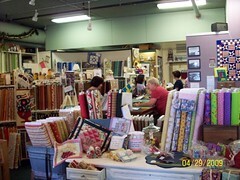 The shop staff on my visit this year and last year are very personal and helpful. 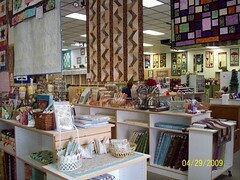 It’s like shopping with your favorite aunt! 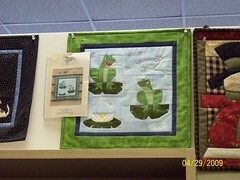 I purchased the Lazy Girl Designs Wonder Wallet pattern and some patriotic fat quarters for my mom. 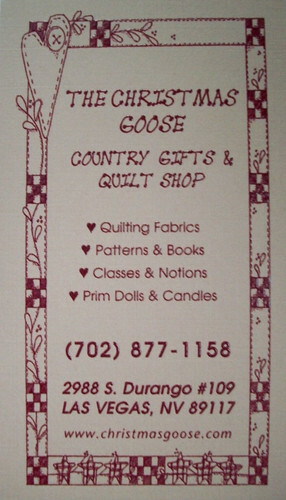 The ladies in the shop were also very helpful in offering to find another Lazy Girl Designs pattern that I have been looking for (the Couch Caddy, which I still haven’t been able to find in any shops, but I’ll probably eventually buy online. 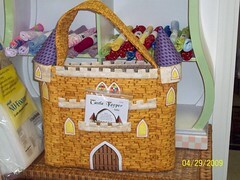 I just wish Joan sold it directly on her website). 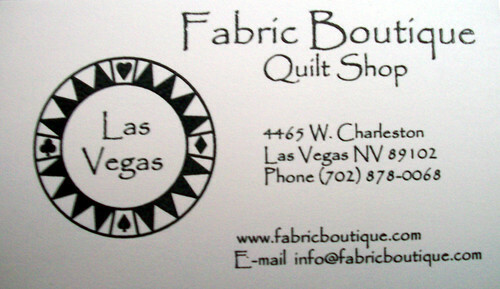 Fabric Boutique – This is the shop that is known for selling an excluse Las Vegas fabric that I purchased to make a Las Vegas tote bag for my next trip to the city. 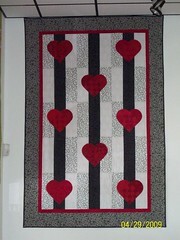 I also purchased some other Last Vegas-style fabric like dice and four-leaf clovers. 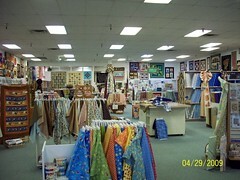 Fabric Boutique also offers several different panels in all sorts of styles that are great for people new to sewing and quilting. 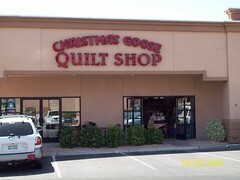 Christmas Goose – The best thing that I like about Christmas Goose is the kits they offer. 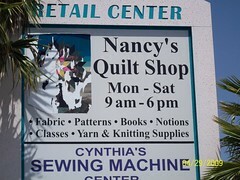 This is where I purchased the Snap Happy pattern and kit. 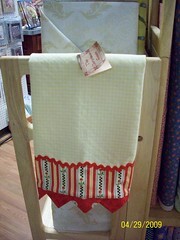 Last year I had bought a similar kit to make Retro Dish Towels. 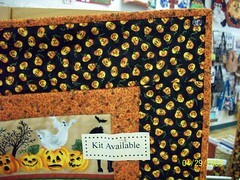 I love the small kits like this and can’t wait to see if they have something new next year. 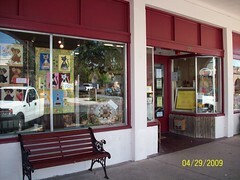 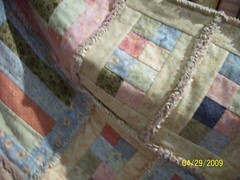 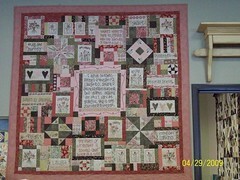 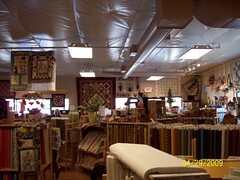 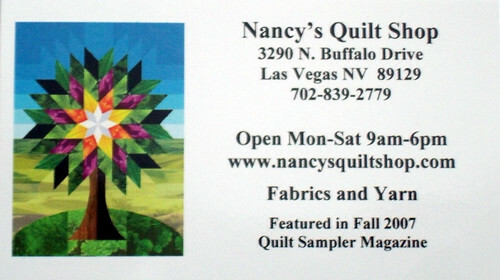 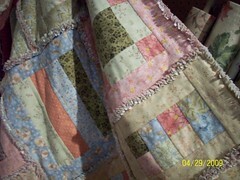 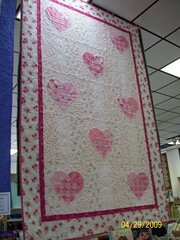 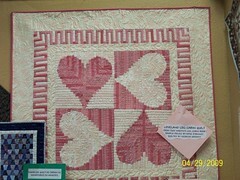 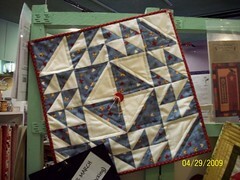 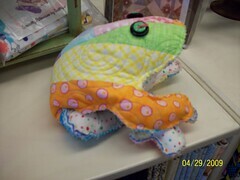 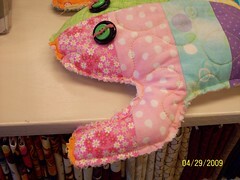 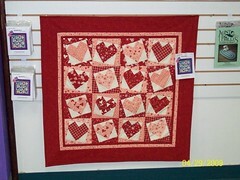 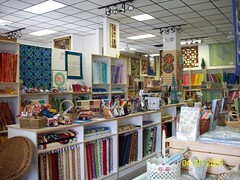 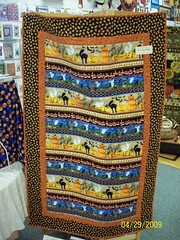 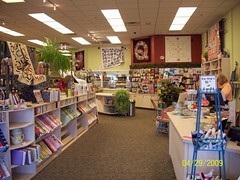 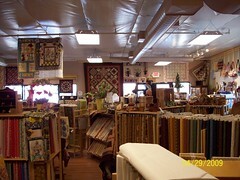 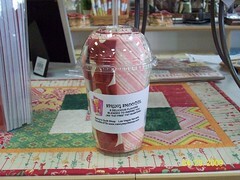 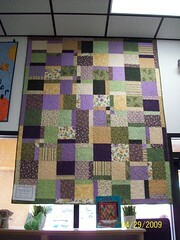 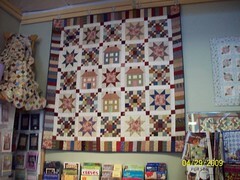 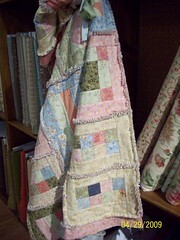 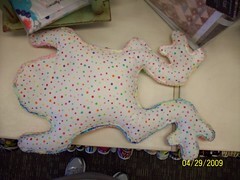 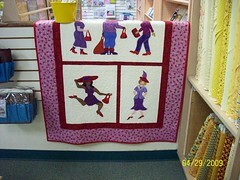 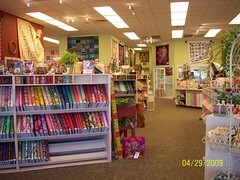 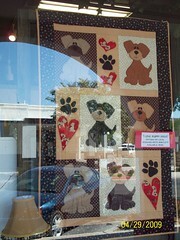 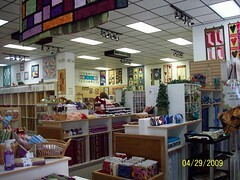 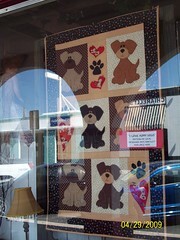 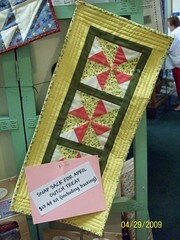 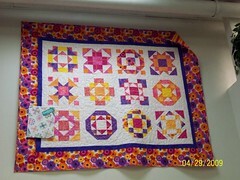 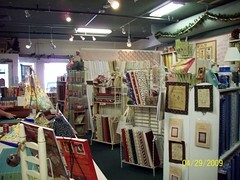 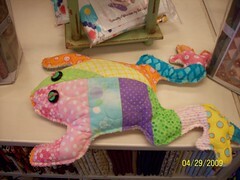 Nancy’s Quilt Shop – If you’re one who collects lots of small pieces of fabric, Nancy’s is the place to go. 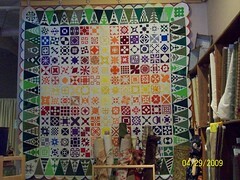 I added several sets of Chubby Eighths to my collection in all sorts of colors. 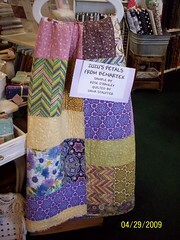 They sell these pieces at a deep discount. 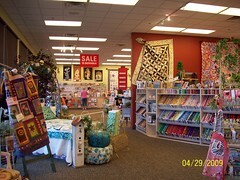 Their patterns and magazines are also always 30% off.